Already own in Phoenix All Suites West? Thinking of selling? Click here and read about current search trends & our web network. 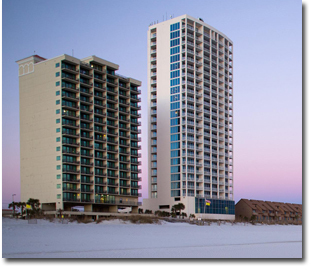 Phoenix All Suites West condominiums are located in the West beach area of Gulf Shores and is a short walk to the popular Gulf Shores Hangout Restaurant & Bar. One of the primary differences of owning a Phoenix All Suites West condo is the owners can't make changes to the unit and must use the on-site company to rent the condo. The building operates as a hotel and owners are allotted 14 days out of the year for personal use. From an investment standpoint, these units rent exceptionally well generating $35-40K in annual rental revenue. Please let us know if you would like further info for Phoenix All Suites or any other condos, homes or real estate along the Gulf Coast or would like to schedule a private viewing by emailing info@condoinvestment.com or by calling 251-Area-Pro (251-273-2776) for immediate assistance. Our clients are added to our condo rental network to help maximize rental revenue. Click here for more details.